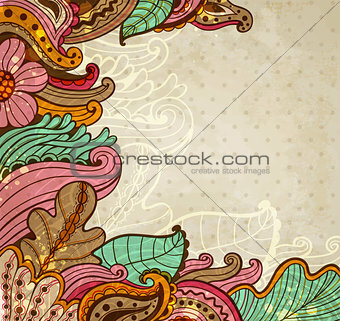 Image Description: Abstract floral background. Hand drawn vector illustration. XXXL 39.9 x 37.7 cm 15.7 x 14.8"